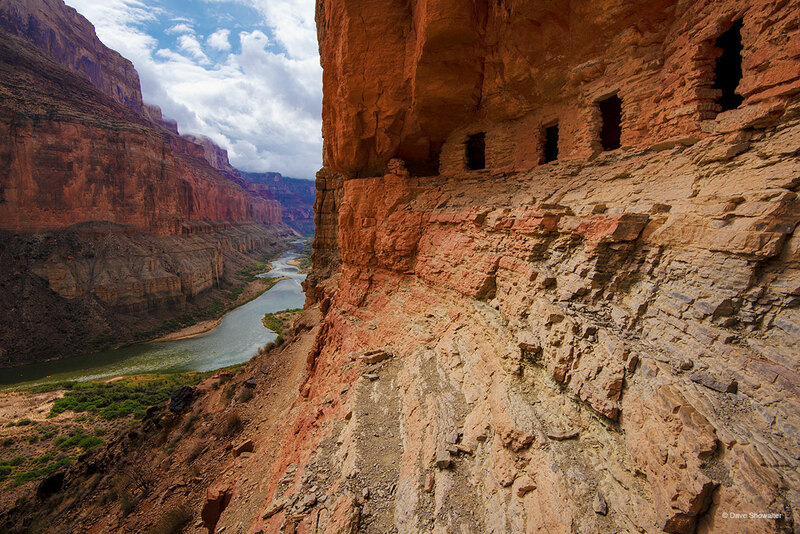 A sweeping view of the Colorado River from high on a cliff face at Nankoweap granaries. Ancestral Puebloans farmed the plateau above the river and stored corn, grains, and pumpkin seeds in these granaries. This day was wild on the river, with shifting winds, clearing, and storms. I made the image while rafting the Colorado River's length through the Grand Canyon with Audubon Rockies and the Western Rivers Action Network (WRAN). Photo © copyright by Dave Showalter.